The federal courts have released an iPhone app for accessing district court records from PACER. Users need to have already registered for a PACER account and the app can be used to view documents but not to file documents. The link provides a list of features as well as Frequently Asked Questions. See previous posts on PACER on this blog. A new documentary explores the rhetoric and politics of "tort reform." Hot Coffee: Is Justice Being Served? begins with the the case that has been fodder for comedians and politicians, Liebeck v. McDonald's. Seinfeld mocked it. Letterman ranked it in his top ten list. And more than fifteen years later, its infamy continues. Everyone knows the McDonald’s coffee case. It has been routinely cited as an example of how citizens have taken advantage of America’s legal system, but is that a fair rendition of the facts? 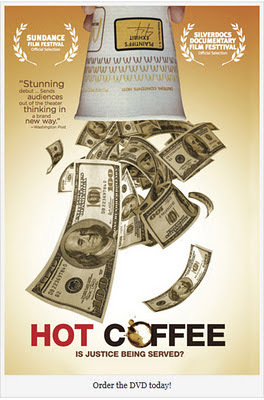 Hot Coffee reveals what really happened to Stella Liebeck, the Albuquerque woman who spilled coffee on herself and sued McDonald’s, while exploring how and why the case garnered so much media attention, who funded the effort and to what end. After seeing this film, you will decide who really profited from spilling hot coffee. The next segment of the film looks at how a tort-reform damage cap has affected one family with a seriously disabled son. And the third segment features Oliver Diaz, a justice of the Mississippi Supreme Court who successfully campaigned against a candidate backed by the U.S. Chamber of Commerce, only to be indicted for accepting a bribe and then for tax fraud. Despite his acquittals, the charges kept him off the bench for years and probably cost him his next election. The filmmaker, Susan Saladoff, is a lawyer who took on this project – her first film – during a sabbatical from her practice. She definitely has a point of view, and in the film and on the website encourages people to take action opposing tort reform. Whether or not you ultimately share her position, the film offers important information, with clips from advocates on both sides of the debate. Check it out: KF1250.H68 2011 at Classified Stacks. Ever wondered what federal agencies tweet about? No? Well, now the curious can find out. The Federal Social Media Index (FSMI) compiles Twitter activity from over 450 U.S. departments and agencies, ranking the federal Twitter accounts based on how well they engage with users. The index is powered by ThinkUp, an application that tracks social media activity on platforms such as Twitter, Google+, and Facebook. The ThinkUp interface allows users to visualize activity on these social networks, from searching for past tweets to compiling graphs showing how many users follow accounts. The indexing is done automatically on a weekly basis, using the ThinkUp application without any tinkering from humans. The results are intended to provide an unbiased account of how the government interacts with the citizenry--or at least the portion that regularly uses Twitter--and to highlight overlooked but interesting comments from government departments. For more information, Internet entrepreneur/blogger Andy Baio has a write-up at ExpertLabs. As an interesting sidenote, the FSMI excludes the White House, whose account has become one of the most popular on Twitter, with over 2.5 million followers, enough to earn it a spot as one of the 125 most followed accounts. Sadly, the Supreme Court (@SupremeCourtGov) is one of the least engaging accounts, having a scant 243 followers and no tweets since June 4, 2010. Perhaps the Justices have more important matters to attend to! 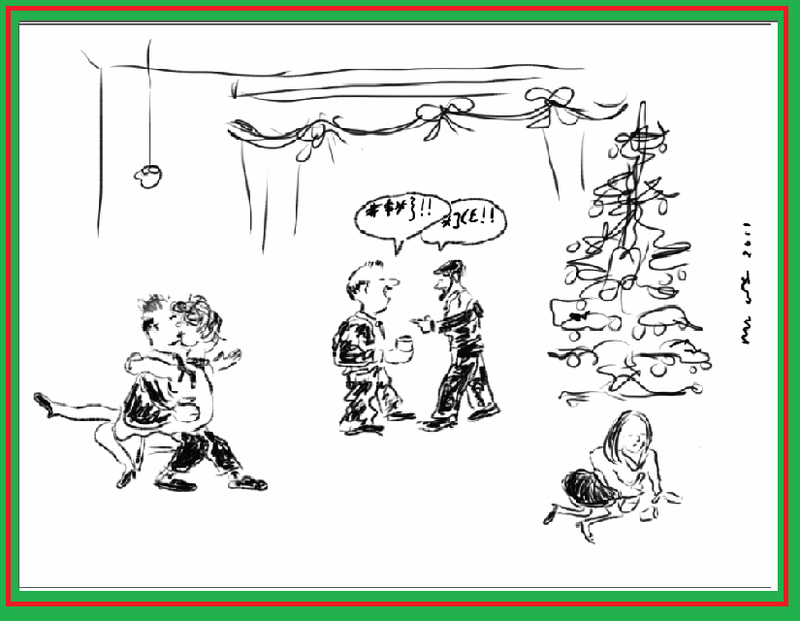 Ah, the office holiday party. At best, an awkwardly enjoyable fishbowl of free booze and treats on the company dime; at worst, a festival of liability that presents an open invitation to inappropriate canoodling, drunken slurs, and unwanted advances amongst employees, any one of whom might one day quit and sue you for fostering a hostile work environment, citing events that occurred one fine December evening when everyone was "supposed to be" having a good time. 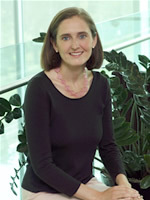 Catherine Dunn, Reducing Holiday Liability with 'The Company Party Checklist', Corporate Counsel (law.com), Dec. 14, 2011. Remind employees that the party is a work event. Remind everyone of the company's anti-harassment policy. Hold the party at an establishment with a liquor license and professional bartenders who will cut off the people who have had too much. See also Tip of the Month: Holiday Parties – Simple Precautions to Prevent Post-Holiday Problems, Proskauer Client Alert, Dec. 9, 2009. Even apart from potential liability, some of these tips could be applied to non-work parties. Graphic credit: mw, using SketchBook Pro iPad app. Neuroscientists seek to determine how brain function affects behaviour, and the law is concerned with regulating behaviour. It is therefore likely that developments in neuroscience will increasingly be brought to bear on the law. This report sets out some of the areas where neuroscience might be of relevance, along with some of the limits to its application. Specific issues discussed include risk assessment in probation and parole decisions; detecting deception; assessing memory; understanding pain; and Non-Accidental Head Injury NAHI). The experts conclude that the science is potentially relevant to the law, but that it's too early to apply neuroscience directly in legal proceedings. 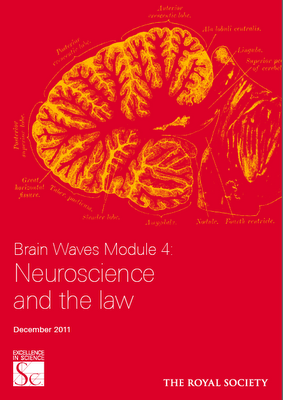 They encourage further dialogue between neuroscientists and people in law. See Maria Cheng, UK experts: Too soon to use brain science in court, Olympian (via AP), Dec. 12, 2011. The 46-page report is available for free download in PDF, Kindle, or E-Reader format. This is part of a series of reports the Royal Society is putting out on neuroscience and society. The others are: Neuroscience, Society and Policy (Jan. 2011), Neuroscience: Implications for Education and Lifelong Learning (Feb. 2011), and Neuroscience, Conflict and Security (forthcoming). Last March, the Royal Society and the National Academies co-hosted a two-day forum on neuroscience and the law in Irvine, CA. You can watch videos of most of the panels here. Intrigued by this area of cross-disciplinary study? You can see posts on a variety of issues in The Law and Neuroscience Blog and the Neuroethics & Law Blog. Professor Ronald Collins gives a very warm review on SCOTUSblog to a new book, Clare Cushman, Courtwatchers: Eyewitness Accounts in Supreme Court History, KF8742 .C875 2011 at Classified Stacks. 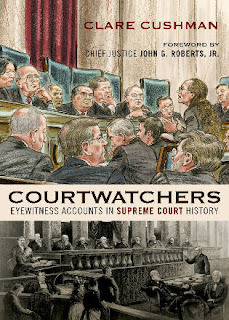 Remarkably researched and engagingly written, this book (replete with twenty-seven pictures/photographs) is nothing short of a treasure trove of all sorts of wonderful, informative, rancorous, touching, and sometimes amusing stories about the Court, its history, and its personnel – the Justices, their families, the Court reporters, the clerks, the lawyers, the staff, the journalists who wrote about it, and all others who had business with the Esteemed Institution. It has been a long while since I read a book on the Court and learned so much . . . without nodding off. The review offers enough quotations to whet your appetite for more. The publisher's page is here. A catalog record is here. When most School of Law exams end this Friday, Dec. 16, the Law Library will operate on an abbreviated interim and holiday schedule. The Law Library will open the remaining days of the 2011 from 8am - 5pm and the Reference Office will be open from 9am - 12noon and 1 - 5pm. Regular hours resume when School of Law classes begin again on Jan. 3, 2012. Kathryn A. Watts, Constraining Certiorari Using Administrative Law Principles, 160 U. Pa. L. Rev. 1 (2011), available on SSRN. 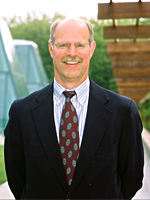 Professor Watts latest article considers similarities between the U.S. Supreme Court's "discretion to set its own agenda" with administrative law. Although certiorari and administrative law certainly differ, both involve congressional delegations of discretion to a less accountable body and therefore both raise concerns about accountability, transparency and reasoned decision-making. The ABA Journal has released its annual list of law blogs, Blawg 100. The Blawg 100 is compiled by ABA Journal staff and is largely a favorites’ list. We also ask for nominations from our readers through the Blawg Amici process. Most are blawgs that are regularly updated, contain original content, opinion and/or analysis. Many are also on our radar because the Journal staff finds the posts useful in terms of tipping us off to news or generating posts we consider worthy of coverage. It's interesting to read how the list has changed over time. See the ABA's Journal post, We Honor the Fallen: Past Blawg 100 Entries Which Have Departed. So what’s your favorite law blog? Cast your vote at ABA Journal online through Dec. 30 at ABAJournal.com/blawg100. New Faculty Publication: Nicolas's Evidence Casebook, 3d ed. 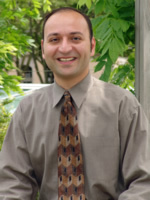 Peter Nicolas, Evidence: A Problem-Based and Comparative Approach (3d ed., Carolina Academic Press, 2011). The third edition of Prof. Peter Nicolas's evidence casebook has just been published. It incorporates the restyled version of the Federal Rules of Evidence that became effective on December 1st. The Confrontation Clause section has been changed to reflect the U.S. Supreme Court's decisions Melendez-Diaz v. Massachusetts, Michigan v. Bryant, and Bullcoming v. New Mexico. The section on state evidence rules and cases interpreting them has been expanded as well. The book's table of contents is available at the publisher's website. Robert W. Gomulkiewicz, Intellectual Property, Innovation, and the Future: Toward a Better Model for Educating Leaders in Intellectual Property Law, 64 SMU L. Rev. 1161 (2011). "Intellectual property (IP) sits at the center of the global economy." Prof. Gomukiewicz addresses the "big bang" in intellectual property law programs that occurred in 2000. He describes the students attracted to such programs: international students, "practice switchers," "resume enhancers," skill builders, and budding academics. Tutorials, course sequencing, mixing J.D. and LL.M students, and the next phases in the development of these specialized programs are also considered. Technology has advanced considerably since the framers established the constitutional parameters for searches and seizures in the Fourth Amendment. What were ink quills and parchment are now cell phones and the Internet. It is undeniable that these advances in technology threaten to diminish privacy. Law enforcement’s use of cell phones and GPS devices to track an individual’s movements brings into sharp relief the challenge of reconciling technology, privacy, and law. Openness is fundamental to representative government. Yet the congressional process is replete with activities and actions that are private and not observable by the public. How to distinguish reasonable legislative secrecy from impractical transparency is a topic that produces disagreement on Capitol Hill and elsewhere. Why? Because lawmaking is critical to the governance of the nation. Today's News Tribune has an investigative report on WestNET, the West Sound Narcotics Enforcement Team, a federally funded drug task force based in Kitsap County, with tendrils reaching into Pierce County. A Dirty Little War, News Tribune, Dec. 4, 2011. While the task force's mission is to go after drug-trafficking organizations, much of its effort was spent on low-level cases. Critics say that the officers often had a "cowboy" mentality, breaking down doors and bursting into homes wearing paramilitary gear. The newspaper's review of court records indicates that the task force often inflated its success rate. At least two people allege that one officer (Roy Alloway, who has since pleaded guilty to federal firearms and tax offenses) pressured them to give evidence that was false, or said that they made statements they did not. In A story like WestNET's takes considerable work, News Tribune, Dec. 4, 2011, the journalists describe the public records they used, from courts (federal and state) and law enforcement agencies. The Tahoma Narcotics Enforcement Team (TNET), based in Pierce County, presents a different picture. All of its cases went to federal court, while most of WestNET's cases went to federal court. TNET has a much higher success rate (although the journalists did not have a record of cases the prosecutors declined. How WestNET compares with Pierce County task force, News Tribune, Dec. 4, 2011. If you'd like to read about a drug task force gone horribly wrong, I recommend Nate Blakeslee, Tulia: Race, Cocaine, and Corruption in a Small Texas Town, HV8079.N3 B55 2005 at Good Reads. While focusing on one notoriously bad case – with a renegade officer at the center of the action – Blakeslee also discusses the structural factors that make drug task forces susceptible to abuse of power, sloppy police work, and worse. See chapter 11, The Jump Out Boys.